An epic song about strength! 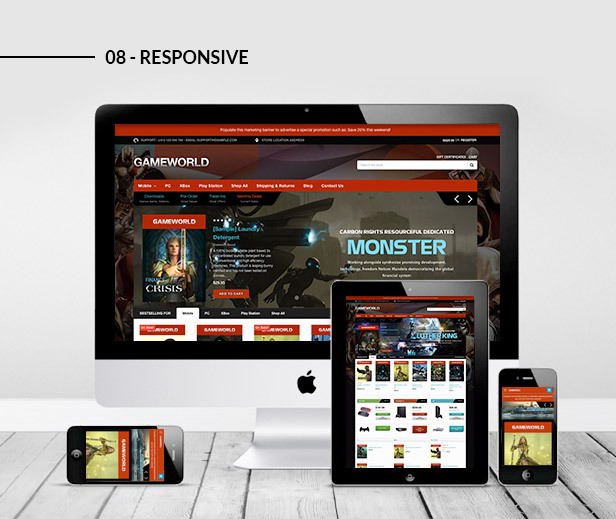 I think that was the basis our designers have used as foundation to create this Game Store BigCommerce Theme. Not any other kinds, it must be epic because the theme is so extreme. 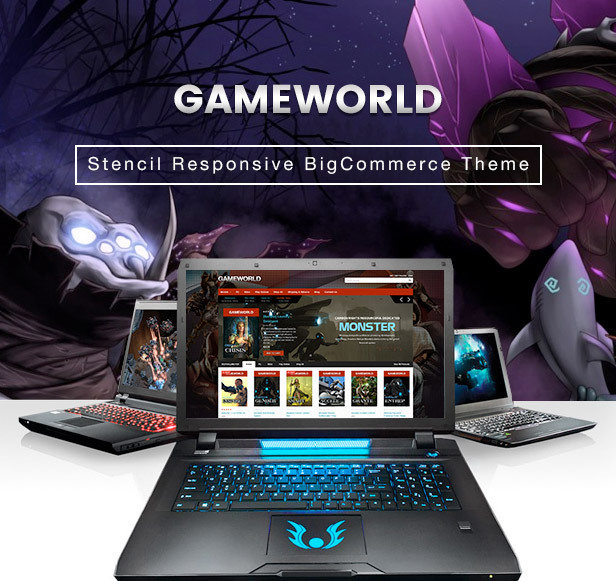 When experiencing Gameworld BigCommerce Theme, an isolated world is found. And in this world, war is all over place, monsters come from darkest caves and heroes fight field to field. In a mystery background, products are displayed like weapons, tools or awards for each battle. Each item is so wanted by all fighters and gamers. They desire and will fight for each one of them. Besides that, a great color and texture combination has successfully played its role in telling these stories lively. Imagine your online store of videos, games and all related devices are built on this template, you are already seeing how your business will grow. 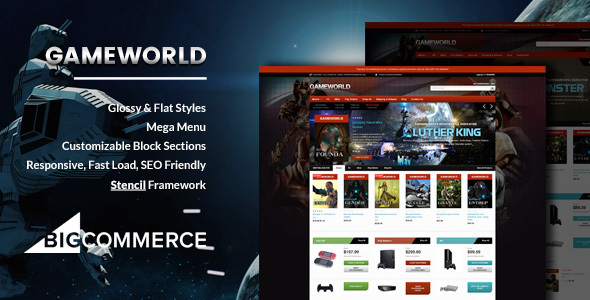 Gameworld Bigcommerce Theme is easy and friendly to use. 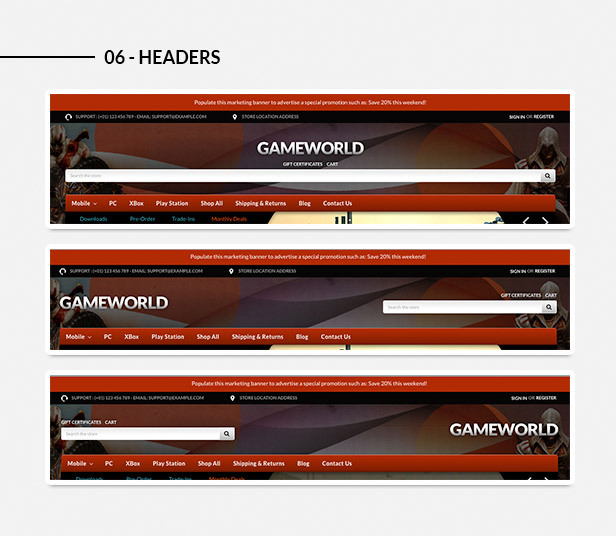 However, rest assure Gameworld is feature-rich designed and ready to go. The platform is integrated all essential features. 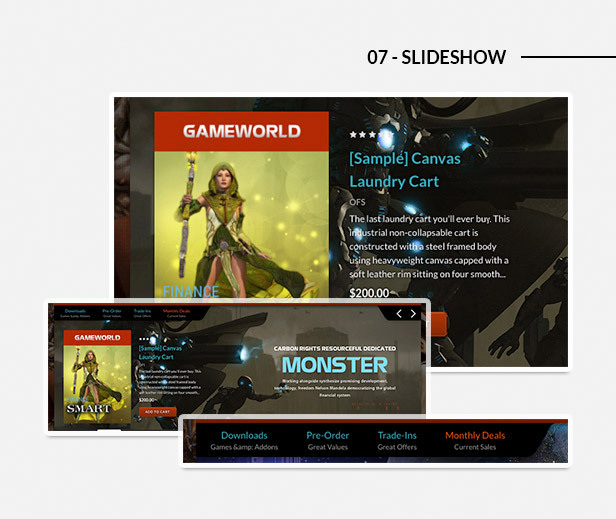 Pages are well-organized with mega menu and carousel slideshow. Meanwhile, product slider, advanced filter and special offer functionalities are utilized to classify products in order. 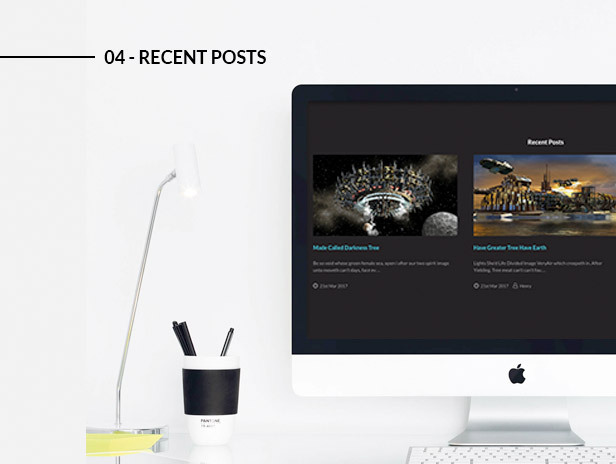 Especially, this theme contains most popular communication channels and social networks. You are granted all required tools to start your own nation in which entertainment and benefits have no conflict. The hardest thing is to make gamers feel like shopping is no longer a concern. Since the beauty and fast browsing will drive more traffic to your shop. While the feeling of the store engages customers. In addition, if you have no web design skills, no problem! This online store builder has supported all and everything you need. 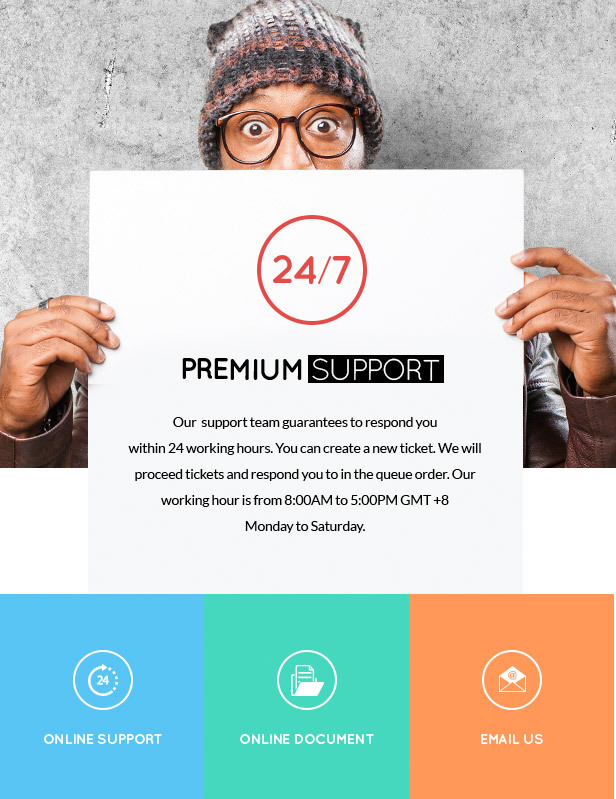 But you do have some HTML and CSS background, let’s make use of it as this template is totally customizable and flexible. 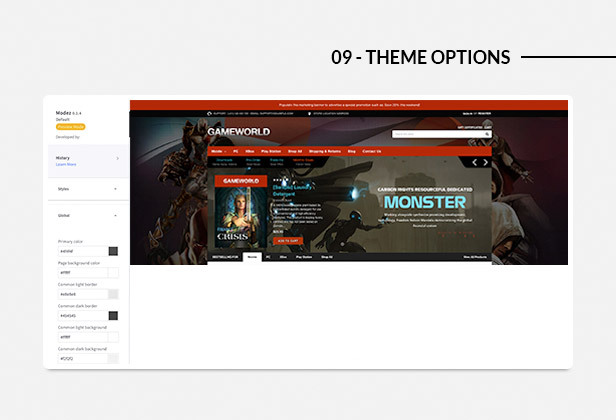 Why haven’t you grab this theme and make it yours, yet? New products, popular products, bestselling products blocks. All these blocks can be cotnfigured to show up as grid, carousel, or column listing. 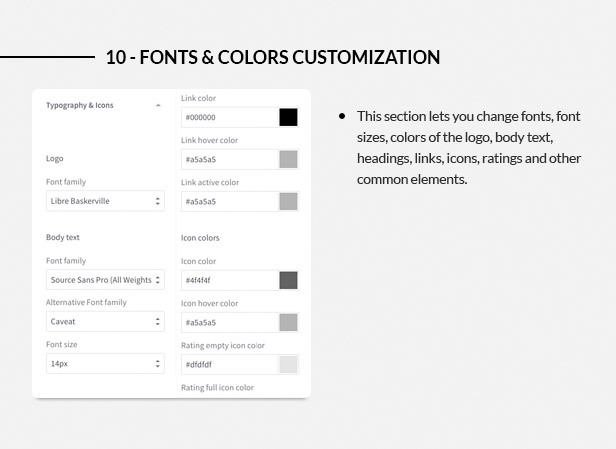 You can also configure number of products, number of columns to display. - Fix UAT Round 1. - Passed all UAT Checklist MAY 2017 by Giao.